The clouds lifted overnight and we found ourselves in a mountain wonderland, lush evergreens and red fall colors rising on the flanks of giants. The mountains are different here, different personalities than any we’ve come across before. 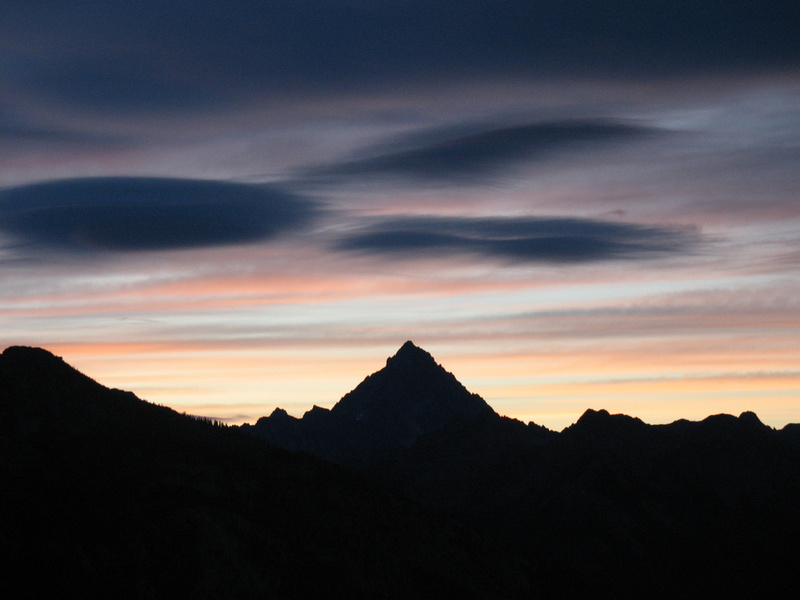 They aren’t the lonely giants of volcano land or the proud granite peaks of the Sierra. These are spires and pointed needles, sky scraping jagged edges that taunting gravity with every turn, walls of rock and ice to catch passing clouds. They’re also the end, the last in a long line. It’s almost over. Every day has new meaning now. There are so few left. I’ve become afraid to waste any moment, any night. I demand to see the stars, wake up to a sunrise, lose myself in vistas. I listen to my friends laugh with a sense of urgency, memorize their stories, and hope that somehow I’ll keep them with me when this is all over. I want to keep it all, but I know I can’t. It’s not the kind of thing that one can keep. Maybe that’s what makes it so precious. The days are drifting so fast and there are so few left. When I miss something now, a mountain lost in the clouds, a perfect campsite, it hurts more than it used to, but when I see something, maybe for the last time, that hurts too. Posted in Pacific CrestTagged Pacific Crest, PCTBookmark the permalink.